You arrived here to learn more about the quick local online marketing audit and 30 minute consultation. For a limited time we are offering this package at no cost, other than your time. This audit will be useful to you for deciding whether you’ll want to do business with us and for us to understand your business. In addition, it will provide you with insights concerning were your business can improve its online marketing efforts. 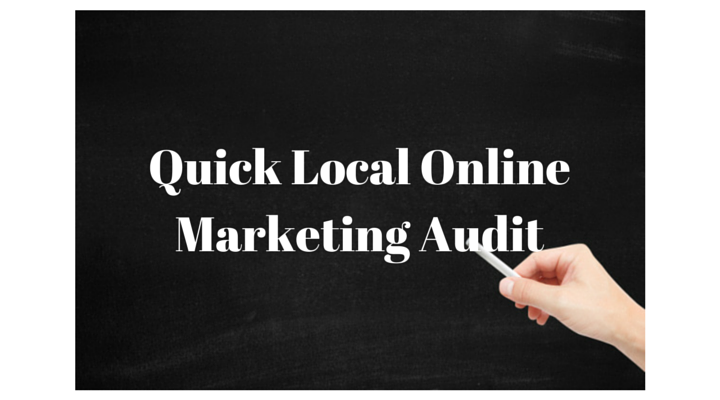 The quick online marketing audit will examine your business’s current online marketing efforts, your digital media footprint, the digital media environment your business operates in and your competitors. In addition, your top level digital media assets will be evaluated to make sure they are aligned with best practices. This examination will result in a report indicating where your business can improve and, what it is not doing correctly concerning local online marketing. We will review the findings of this audit in our 30 minute consultation and you will be provided a copy of the report. To start the process, please contact us.